First and foremost, we want to send a very special Happy Father's Day to all of the amazing dads out there! Massage therapy is far too often stereotyped as being "for women.” Sometimes it's seen as a foo foo pastime that only ladies enjoy on a Girls Day Out at a spa while sipping cucumber water. However, that is far from the truth. Clinical massage therapy benefits both genders equally and can be medically healing. Workout recovery – Massage is a necessity for men who play sports, are extremely athletic or who are simply gym enthusiasts. Massage not only eases the onset of muscle soreness, but can speed healing by boosting the body’s circulatory and immune system. Curated athletic focused massages are designed to improve athletic performance. Better sleep – About 20% of all men suffer from insomnia (an inability to fall asleep or stay asleep). Insomnia is associated with a lack of the hormone called serotonin, the “feel good hormone,” which is released in the body after a massage. The sense of relaxation and well-being you feel after a massage helps men fall asleep and spend more time in deep sleep. Mood boost – Men may not have periods in the traditional sense but they certainly have mood swings. And unfortunately, men are less likely to seek help when they’re feeling stressed or have anxiety. While massage is not a substitute for more substantial mood therapies, the serotonin boost provided by massage can lift the blues and improve mental outlook. 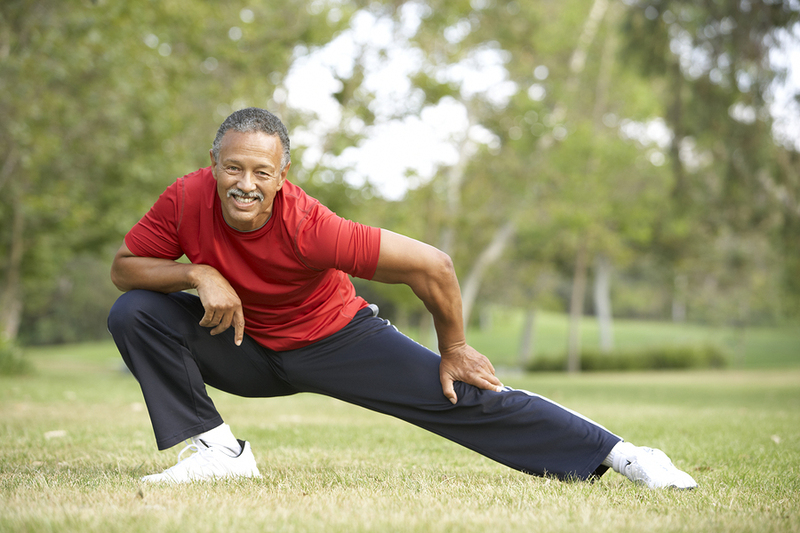 Improved flexibility – Stretching and maintaining a limber body is not always on a guys radar but it should be. Men are typically less flexible than women, which can make them more prone to injury and muscle pain and massages increases flexibility. Fewer gray hairs – Massage can alleviate physical symptoms of stress, like headache and high blood pressure, which can affect men as they age. Cure desk stiffness – Men often suffer from back and neck pain, caused by riding a desk all day or repetitive injury. A massage can ease back and neck pain — plus, it feels great.